I really like to tie up a fly that catches fish. Hard to beat that feeling. But I enjoy the beauty and textures of the fur, feathers and threads used to make those creations. Is fly tying an art, craft or a means to an end? It doesn’t matter. Fly tying is a great way to watch a football game, listen to music or just relax in your man cave. 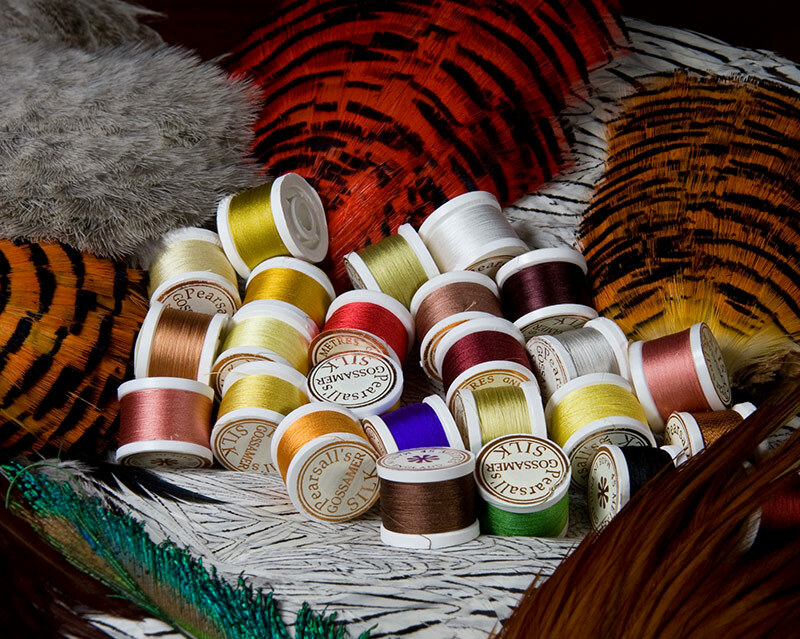 As I sat down to replenish my soft hackles, I couldn’t help pausing to grab a photo of my Pearsall’s silk spools. I hope your time at the vice is as enjoyable as mine.